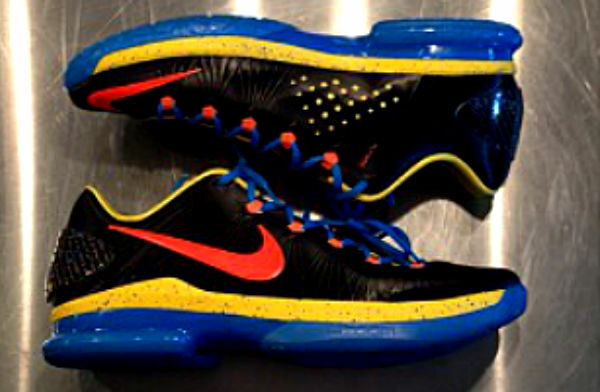 or the second time today, we get a look at the 'OKC Away' Nike KD V Elite. 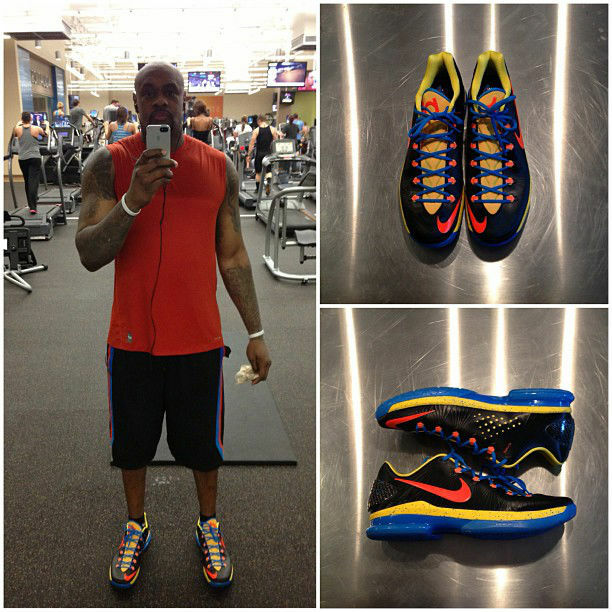 For the second time today, we get a look at the 'OKC Away' Nike KD V Elite. This time previewed by longtime friend Randy Williams, the shoe sports a black, Flywire-embedded upper with Thunder-like orange, yellow and blue accents. The shoe is also reinforced with a carbon fiber counter for increased durability during KD's postseason run. Again, no release information for this pair at the moment, but we'll continue to follow the story here at Sole Collector.